Today, Jay Michaelson, a person I would comfortably describe as someone I look to for sound thinking and reasoning on many subjects, most especially, Jewish tradition and homosexuality, responded to those of us who were troubled if not offended by Bieber’s inappropriate, self-serving reflection. Below is a re-print of Jay’s commentary as it appeared in the Jewish Forward. I have added my response to Jay below. Was Justin Bieber Right About Anne Frank? To paraphrase internet celebrity Chris Crocker, Leave Justin Alone. Let’s start with two things we don’t know. First, we don’t really know anything about Justin Bieber. All of our opinions about him are mediated by publicists, reporters, bloggers, and lots and lots of spin. Second, we don’t know that much about Anne Frank. We do know that she had posters of teen idols up on her wall, and that she was hardly the saintly figure her hagiographers have created. That too is a product of spin. So, when Justin Bieber visited the Anne Frank House in Amsterdam — not a usual stop on the teen-idol itinerary — and wrote: “Truly inspiring to be able to come here. Anne was a great girl. Hopefully she would have been a belieber,” we are all free to come to our own uninformed conclusions. Personally, I’m pretty sure Anne Frank would’ve been a Belieber. The point of freedom is not for 13-year-old girls to be martyrs or saints, but for them to be young girls, full of the same lightness and triviality that young girls (and boys) everywhere are, if they are lucky. Let’s not hold our icons so solemnly. Indeed, what Bieber seems to have meant is: I hope she would have been normal and fun and happy. I hope that she would’ve connected with my music, that she would’ve appreciated the things I do. I hope she would have been a fan. Notably, this chorus of Bieber-haters does not include the Anne Frank House itself, whose spokesperson defended Bieber’s comments and applauded his visit. But then again, if there’s one thing Jews love to claim ownership of, it’s the Holocaust and anything connected to it. Which is what this is really about: us. Our ownership of the capital-H Holocaust; our right to patrol how people are supposed to relate to it (solemnly, seriously); and above all, our right to take offense. Forget what Bieber actually said; forget that in so doing, he probably introduced Anne Frank to millions of teenagers who had never heard of her; the mere mixture of pop culture ephemerality with the American Jewish state religion that is the Holocaust is contamination enough. The Holocaust is meant to be one endless Yom Kippur, and Bieber is goyishe treyf. This Shoah-dolatry has substituted for actual Judaism for many decades now. It has redefined Jewish identity, Jewish theology, and above all the notion of the Chosen People. It’s as if the unspeakable evil of the Nazis confirms that we were Chosen, we are special. The irony here is that the very Holocaust-deifying Jews accusing Bieber of narcissism… are themselves guilty of narcissism. 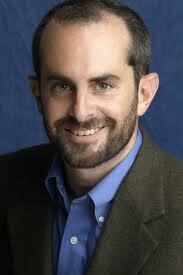 Nathan Englander recently asked us to ponder what we talk about when we talk about Anne Frank. For Jews of a certain Jewish-educational status, myself included, we talk about her as an iconic figure, a saint. She’s not a girl at all but some kind of totemic figure for all that we hold dear, for all that we have lost. But for Justin Bieber, she is just what her diary depicts her as being: a young girl, with both a beautiful moral vision and a love of pop stars. Her life was tragically cut short precisely because it needn’t have been cut short — because it should have been as light and filled with ephemera as that of other teenage girls. The tragedy, in other words, is that Anne Frank turned out to be “Anne Frank” instead of a Belieber, unencumbered by the heavy pieties of those who are so offended by the very suggestion. If you had asked me 3 minutes ago have I ever read anything by Jay Michaelson that I disagreed with or found profoundly troubling, I would have said no. Jay is a brilliant man who has helped many people to successfully envision a loving God who fully accepts and loves LGBT people as much as other people on Earth in spite of traditional interpretations of ancient sacred scriptures. That said, in this instance, I’m afraid Jay is playing the old lawyers game of lets blame the victim. One doesn’t need to be an intimate friend of Justin Bieber to know that Justin is quite simply, a little….ummm… taken with himself. None of us knew Anne Frank either. There can be no denying that the words Bieber left in the guest book of The Anne Frank House were not the reflections of an emotionally mature young man who is curious about a time, place and people far removed from his own world. The 19-year-old heart-throb could only understand Anne Frank’s life in the context of his own: had Anne Frank lived, she too would have joined the ranks of his adoring fans and of course, been madly in love with him. This a classic example of how the mind of a profound narcissist suffering from grandiosity perceives the world. I take exception Jay to your suggesting that those of us who took offense to the inappropriate entry Bieber penned are being unjustly harsh and are guilty of turning the Shoah into closed religious cult of some kind. Jay, you can fantasize all you want about whether or not Anne Frank might have turned out to be a belieber; some of us are less inclined to be forgiving of such highly dysfunctional, immature, inappropriate behavior. Egocentric buffoons who intentionally or not, denigrate a cultural, religious or historical icon are not entitled to a get-out-of-jail card. The fact that Bieber may not have a clue why his words were inappropriate doesn’t excuse what he did. How might a community react to learning that their handsome, popular quarterback left a message at the memorial to a local teenage girl who had been tragically murdered, in which he suggested that had she lived, she too would have sat lusting for him in the stands every Friday night? A millionaire teen idol who insists on living on center stage 24/7 is no more entitled to free-pass for inappropriate behavior than anyone else in this world. And if Beiber really doesn’t have a clue about what is and isn’t appropriate behavior, some of the many people who are being paid to guide his career need to constantly remind him just how important public relations are to his future and introduce him to the world that exists beyond belieberland. Excuse me, but who are you to dole out free pass cards to people? Why are you jailing him in the first place? The 19 year old, who is not Jewish, went to the Frank House to learn about the Holocaust and was moved by it. What he saw was a little girl, that adorable punim of hers. He said he was inspired. Since he saw a little girl, he saw one of his fans. And can anybody who remembers her crush on Peter van Pels and how she wrote about him doubt that she could easily be one of his teeny bopper fans. That he saw a little girl is a good thing. It is exactly what Europe in the 1930’s could not see about her. So let up on your name calling of Beiber, whom you do not know and whose reaction to the Frank exhibit you did not see. Lastly, you do not own the Holocaust and should fire yourself as the policeman of reactions that are unaccetpable. Your failure to give him the benefit of the doubt comes across as smallness. Jay Michaelson hit this one on the head. And your piece is exactly the reason why. I don’t own the Shoah Andy, but neither will I turn away when anyone, even a cute millionaire teeny-bopper unwittingly soils it.